Dr. N. Arlappa is currently working in the Division of Public Health Nutrition. He did his MBBS from Gandhi Medical College, Osmania University, Hyderabad and MD Community Medicine from Mamata Medical College, Khammam, NTR University of Health Sciences, Vijayawada. 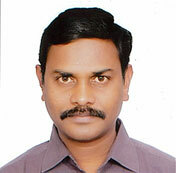 He has about 21 years of research experience in the field of Public Health Nutrition. His area of research interest is in community studies with respect to micronutrients (vitamin A, Iron & Iodine), geriatric nutrition and non-communicable diseases (NCDs). He has published more than 70 scientific papers in national and international peer-reviewed journals and published 8book chapters. He is faculty member for courses like MSc Nutrition and PG Certificate Course in Applied Nutrition conducted at the NIN and actively associated with the regular training programmes conducted at the institute for project investigators, staff of the NNMB state units and Health & ICDS functionaries. NCD Risk Factor Collaboration (NCD-RisC). Worldwide trends in blood pressure from 1975 to 2015: a pooled analysis of 1479 population-based measurement studies with 19·1 million participants. Lancet. 2017 Jan 7; 389(10064):37-55. (Multi-Author Publication). Anderson I, Robson B, Connolly M, Al-Yaman F, Bjertness E, King A, Tynan M...Nimmathota Arlappa. I ndigenous and tribal peoples' health (The Lancet-Lowitja Institute Global Collaboration): a population study. Lancet. 2016 Jul 9; 388(10040):131-57. (Multi-Author Publication). NCD Risk Factor Collaboration (NCD-RisC). Effects of diabetes definition on global surveillance of diabetes prevalence and diagnosis: a pooled analysis of 96 population-based studies with 331,288 participants. Lancet Diabetes Endocrinol. 2015 Aug; 3(8):624-37. doi: 10.1016/S2213-8587(15)00129-1. (Multi-Author Publication ). NCD Risk Factor Collaboration (NCD-RisC). A Century of trends in Adult Human Height. Elife. 2016 Jul 26;5. pii: e13410. doi: 10.7554/eLife.13410. (Multi-Author Publication). NCD Risk Factor Collaboration (NCD-RisC). Trends in adult body-mass index in 200 countries from 1975 to 2014: a pooled analysis of 1698 population-based measurement studies with 19·2 million participants.Lancet. 2016 Apr 2;387(10026):1377-96. (Multi-Author Publication). NCD Risk Factor Collaboration (NCD-RisC). Worldwide trends in diabetes since 1980: a pooled analysis of 751 population-based studies with 4.4 million participants. Lancet. 2016 Apr 9; 387(10027):1513-30. (Multi-Author Publication). Arlappa N. Vitamin A deficiency control measures: Importance of vitamin A supplementation as a public health policy in Indian context.Journal of Public Health Policy.2013 Nov; 34(4):538-48. Arlappa N, Laxmaiah A, Balakrishna N, Harikumar R, Kodavanti MR, Gal Reddy Ch, Saradkumar S, Ravindranath M, Brahmam GNV. Micronutrient deficiency disorders among the rural children of West Bengal, India. Ann Hum Biol. 2011; 38(3):281-9. Arlappa N, Balakrishna N, Laxmaiah A, Brahmam GNV. Prevalence of anaemia among rural pre-school children of West Bengal, India.Ann Hum Biol. 2010; 37(2):231-242. Arlappa N, K. Venkaiah, Brahmam GNV. Severe drought and the vitamin A status of rural pre-school children in India. Disasters. 2011; 35(3):577-586. Arlappa N, N Balakrishna, A Laxmaiah, K Madhavan Nair, GNV Brahmam. Prevalence of Clinical and Sub-clinical Vitamin A Deficiency among Rural Pre- school Children of West Bengal, India. Indian Pediatrics. 2011; 48: 47-49. Arlappa N andRavi Kumar BP. Relevance of continuation of Vitamin A supplementation progamme in India. Indian Pediatrics. 2011; 48:246-247. Arlappa N, Balakrishna N, Laxmaiah A, Raghu P, Vikas, Madhavan Nair K, Brahmam GNV. Prevalence of vitamin A deficiency and its determinants among rural pre-school children of Madhya Pradesh, India. Ann Hum Biol. 2011; 38(2):131-6. Arlappa N, Laxmaiah A, Balakrishna N , Brahmam GN. Consumption pattern of pulses, vegetables and nutrients among rural population in India. African Journal of Food Science. 2010; 4(10):666-675. Arlappa N. Vitamin A deficiency is still a public health problem in India.Editorial.Indian Pediatrics. 2011; 48:853-854..
Arlappa N, Balakrishna N, Laxmaiah A, Brahmam GNV. Ocular Manifestations Of Vitamin A Deficiency Among The Rural Pre-School Children Of North India. J Ophthalmic Sciences. 2015 Dec; 1(2):1-11. Arlappa N, Balakrishna N, Laxmaiah A, Brahmam GNV. Vitamin A Deficiency Disorders Among The Rural Pre-School Children Of South India. Int J Nutrition 2016 Feb; 2(1):8-18. Arlappa N, Qureshi IA,Ravi Kumar BP,Balakrishna N. Qureshi MA.Arm Span as An Alternative To Standing Height For Calculation Of Body Mass Index (BMI) Amongst Older Adults. . Int J Nutrition 2016 Mar; 2(1):12-24. Sinha N, Bhattacharya A, Pradeep Ranjan P,Deshmukn PR, Panja TK, Yasmin S, Arlappa N. Metabolic syndrome among elderly care-home residents in southern India: a cross-sectional study. WHO South-East Asia J Public Health 2016; 5(1): 62–69. Arlappa N, Laxmaiah A, Balakrishna N, Harikumar R, Brahmam GNV. Clinical and sub-clinical vitamin A deficiency among rural pre-school children of Maharashtra, India. Annals of Human Biology. 2008; 35 (6): 606-614. Arlappa N, K.Mallikarjuna Rao, K. Venkaiah, G.N.V.Brahmam. "Nutritional parameters and chronic energy deficiency in Older Adults of Desert Areas of Western Rajasthan, India”. J Nutr Elderly. 2009; 28 (1): 61-71. Arlappa N, K. Venkaiah, K.Mallikarjuna Rao, Galreddy Ch, Sharad Kumar, Ravindranath, M , G.N.V.Brahmam. Prevalence of Chronic Energy Deficiency in Rural-Dwelling Older Indian Adults during a Period of Severe Drought. J Nutr Elderly. 2009; 28 (1): 301-302. Arlappa N, Balakrishna N, Laxmaiah A, Brahmam GN. Prevalence of Anaemia among rural pre-school children of Maharashtra,India.Indian J.Comm Health.2012; 24(1):4-8. Arlappa N, Meshram II, Balakrishna N, Hari Kumar R, Rao KM,Laxmaiah A. Prevalence of Anaemia among different physiological groups in the rural of Maharashtra,India. Indian J.Comm Health. 2014; 26(3):278-284. Arlappa N, Laxmaiah A, Balakrishna N, Hari Kumar R, Mallikarjuna Rao K, Brahmam GNV. Prevalance of hypertension and its relationship with adiposity among rural elderly population in India. Int J Clin Cordiol 2014; 1.003. Arlappa N, Aatif Qureshi I, Srinivas R. Fluorosis in India: An overview. Int J Res Development. 2013 Apri. 1(2): 97-102. Arlappa N, Balakrishna N, Laxmaiah A Brahmam GNV.”Pattern of Indigenous Vegetables and Legumes Consumption in Rural India”. Proceedings of the 1st International Conference on “Indigenous Vegetables and Legumes-Prospectus for Fighting Poverty, Hunger and Malnutrition”. Acta Horticulturae (ISHS), Number 752, September 2007. N. Arlappa, N.Balakrishna, Sharad Kumar, G.N.V.Brahmam, K.Vijayaraghavan. "Diet and Nutritional status of elderly in Rural India". Journal of Nutrition for the Elderly. 2003; 22 (4):35-52. N. Arlappa, N.Balakrishna, G.N.V.Brahmam, K.Vijayaraghavan. "Nutritional status of the Tribal elderly in India". Journal of Nutrition for the Elderly. 2005; 25 (2):25-39. Arlappa N, Balakrishna N, Kokku SB, Hari Kumar R, Mallikarjuna Rao K, Ravindranth M, Sharad K, Ramakrishna KS, Laxmaiah A, Brahmam GNV. Diet and Nutritional Status of the Elderly in Rural India. Journal of Ageing Research And Healthcare .2016;1 (1):36-48. DOI: 10.14302/issn.2474-7785.jarh-16-1157. Arlappa N, Qureshi IA, Ravikumar BP, Balakrishna N, Qureshi MA. Arm span as an alternative to standing height for calculation of body mass index (BMI) amongst older adults. Int J Nutrition. .2016;2 (1):12-24. DOI: 10.14302/issn.2379-7835.ijn-15-903. Arlappa N, Balakrishna N, Hari Kumar R, Meshram II, Mallikarjuna Rao K, Sharad K, Ravindranth M, Manohar Reddy G, Laxmaiah A. Magnitude of multiple micro-nutrient malnutrition among the rural children in India. Int J Nutr Food Sci.2016;6(3):39. Sneha M, Arlappa N, Suryanarayana P, Balakrishna N, and Santosh VS. Prevalence of Metabolic Syndrome among Urban Older Adults of Hyderabad Metropolitan City in South India. J Nutr Obes.2017 1: 101 (Corresponding Author). Venkaiah K, Kokku SB, Arlappa N, Mallikharjun Rao K, Gal Reddy Ch, Kumar S, Ravindranath M, Laxmaiah A, Brahmam GNV. Impact of Chronic Drought on Nutritional Status of the Community in Drought affected areas in India. Indian J Comm Health. 2015; 27, 4: 478-484. Qureshi IA, Arlappa N, Qureshi MA. Prevalence of malaria and anaemia among pregnant women residing in malaria endemic forest villages in India. Int J Gynaecol Obstet. 2014; 127(1):93. Corresponding Author. Ihtesham A. Qureshi, Rohit Kumar Gudepu, Ravikanth Chava, Sravya Emmani, Syed Husain Asghar, Mohtashim A. Qureshi, Nimmathota Arlappa. Case Report: Gollop-Wolfgang Complex in a 5 month old baby. Version 3. F1000Res. 2014; 3: 315. Published online 2015 (Corresponding author). Rao KM, Arlappa N, Radhika MS, Balakrishna N ,Laxmaiah A,Brahmam GNV. Correlation of fat Mass Index and Fat-free Mass Index with percentage body fat and their association with hypertension among urban South Indian adult men and women. Annals of Human Biology. 2012; 39 (1):54-58. Meshram II,Arlappa N, Balakrishna N, Laxmaiah A, Mallikarjun Rao K, Gal Reddy C, Ravindranath M, Sharad Kumar S, Brahmam GN. Prevalence and Determinants of Undernutrition and its Trends among Pre-School Tribal Children of Maharashtra State, India. J Trop Pediatr.E-Pub 2011 May 4. 2012; 58(2):125-32. Sivaprasad M, Shalini T, Balakrishna N, Sudarshan M, Lopamudra P,Suryanarayana P, Arlappa N, Ravikumar BP, Radhika MS, Reddy GB. Status of Vitamin B12 and Folate among the Urban Adult Population in South India. Ann Nutr Metab. 2016;68(2):94-102. doi: 10.1159/000442677. Epub 2015 Dec 15. Laxmaiah A, Meshram II, Arlappa N, Balakrishna N, Rao KM, Reddy ChG, Ravindranath M, Kumar S, Kumar H, Brahmam GN. Socio-economic & demographic determinants of hypertension & knowledge, practices & risk behaviour of tribals in India. Indian J Med Res. 2015 May; 141(5):697-708. Laxmaiah A, Arlappa N Balakrishna N, Mallikarjun Rao K, Gal Reddy Ch, Ravindranath M, Sharad Kumar S, Brahmam GN. Prevalence and determinants of micronutrient deficiencies among rural children of 8 states in India. Annals of Nutrition and Metabolism. 2013; 62:229-239. Laxmaiah A, Nair MK,Arlappa N, Raghu P, Balakrishna N, Mallikharjuna Rao K, Galreddy C, Kumar S, Ravindranath M, Vikas Rao V, Brahmam GN.Prevalence of ocular signs and subclinical vitamin A deficiency and its determinants among rural pre-school children in India.Public Health Nutr. 2012; 15(4):568-77. Meshram II,Arlappa N, Balakrishna N., Mallikharjun Rao K, Laxmaiah A, Brahmam GNV. Trends in the prevalence of undernutrition, nutrient & food intake and predictors of undernutrition among under five year tribal children in India.Asia Pac J Clin Nutr,2012; 21 (4):568-576. Meshram II,Arlappa N, Balakrishna N, Mallikharjun Rao K, Laxmaiah A, Brahmam GNV. Prevalence of hypertension, its correlates and awareness among adult tribal population (≥20 years) of Kerala State, India.J Postgrad Med, 2012; 58 (4):253-259. Meshram II, Balakrishna N, Arlappa N, Mallikharjun Rao K, Laxmaiah A, Brahmam GNV. Prevalence of Under-nutrition, its correlates and seasonal variation among Tribal pre-school Children of Odisha State, India. Asia Pac J Public Health. 2014 Sep; 26(5):470-80. Meshram II, Balakrishna N, Sreeramakrishna K, Rao KM, Kumar RH, Arlappa N, Manohar G, Reddy CG, Ravindranath M, Kumar SS, Brahmam G, Laxmaiah A. Trends in nutritional status and nutrient intakes and correlates of overweight/obesity among rural adult women (≥18-60 years) in India: National Nutrition Monitoring Bureau (NNMB) national surveys. Public Health Nutr. 2015 Aug 7:1-10. [Epub ahead of print]. 2016 Apr;19(5):767-776. Laxmaiah A, Balakrishna N, Arlappa N, Meshram II,Harikumar R Mallikarjun Rao K. Trend in consumption of fats and oils among India tribal population over a period of 30 years: Findings of National Nutrition Monitoring Bureau surveys. Indian J.Comm Health. 2014; 26(S1):75-82. Mondal R, Biswas T, Ravi Kumar BP, Arlappa N, Chatterjee C, Majumder A. Nutritional Status of Rural Govt. Primary School Children in Khammam District, Andhra Pradesh, India. Int J Med and Dent Sci 2015; 4(2):818-827. Saeed Akhtar, Tariq Ismail,Sunethra Atukorala, N. Arlappa. Micronutrient deficiencies in South Asia-current status and strategies. Trends in Food Science and Technology. 2013; 31:55-62. Akhtar S, Ahmed A, Randhawa MA, Atukorala S, Arlappa N, Ismail T, Ali Z. Prevalence of vitamin A deficiency in South Asia: causes, outcomes, and possible remedies.J Health Popul Nutr. 2013 Dec; 31(4):413-23. Shankar Reddy Dudla, Arlappa N. An Updated Prasad’s Socio Economic Status Classification for 2013.International Journal of Research & Development of Health. 06/2013; 1(2):26-28. Meshram II, Laxmaiah A,Mallikarjun Rao K, Arlappa N, Balakrishna N, Gal Reddy Ch, Ravindranath M, Sharad Kumar S, Brahmam GNV. Prevalence of hypertension and its correlates among adult tribal population (≥20 years) of Maharashtra State, India. Int. J Health Science Research. 2014; 4:130-39. Laxmaiah .A, Mallikharjuna Rao .K, Hari Kumar .R, Arlappa .N, Venkaiah .K, and Brahmam .G.N.V. Diet and Nutritional status of Tribal population in ITDA project area of Khammam District, Andhra Pradesh.J.Hum.Ecology.2007; 21(2):79-86. Mallikharjuna Rao K, Balakrishna N, Arlappa N, Laxmaiah A Brahmam GNV. Diet and Nutritional status of women in India.J.Hum.Ecology.2010; 29(3):165-170. Ravindranath, M Venkaiah, K., Vishnuvardhana Rao, M. Arlappa, N., Gal Reddy, Ch., Mallikharjuna Rao, K. et al. Effect of drought on nutritional status of rural community in Karnataka. J. Hum. Eco. 2005; 180 (3): 169-171. Galreddy Ch, Arlappa N, Harikumar R, Sharad kumar, Brahmam.G.N.V,Bala Krishna N, Vijayaraghavan.K.Diet and Nutrition Status of Preschool children in Rural Community of Orissa. J. Hum. Eco. 2006; 19 (3):205-214. Hari kumar. R, Venkiah.K, Arlappa.N, Sharad kumar, Brahmam.G.N.V, Vijayaraghavan.K. Diet and nutritional situation of the population in the severely drought affected areas of Gujarat. J. Hum. Eco. 2005; 18(4): 319-326. Arlappa N, Laxmaiah A, Balakrishna N, Hari Kumar R, Mallikarjuna Rao K, Galreddy Ch, Sharad Kumar, Ravindranath M, Brahmam GNV. Prevalence of abdominal obesity and its relationship Hypertension among rural Elderly in India. Obesity. 2010; 18(2): S222. Arlappa N, Balakrishna N, Laxmaiah A, Hari Kumar R, Mallikarjuna Rao K, Galreddy Ch, Sharad Kumar, Ravindranath M, Brahmam GNV.Prevalence Anaemia among rural Pre-school children in India. Pediatrics Therapeut.2012.2 (6).http:dx.doi.org/10.4172/2161/-0665.S1.003. Balakrishna N, Arlappa N, Laxmaiah A, Galreddy Ch, Brahmam GNV. Association between Anthropometric measurements and Hypertension-A study among rural Elderly in India. Annals of Nutrition & Metabolism.Vol.51 (suppl 1), 2007. Balakrishna N, Arlappa N, II.Meshram, K. Mallikarjun Rao, Laxmaiah A. Trends in percent contribution of carbohydrates, proteins and fats to energy intakes and its association with body mass index categories. Ann Nutr Metab 2013; 63 (spple 1):1-1960. Laxmaiah A, Arlappa N, II.Meshram, Balakrishna N K. Mallikarjun Rao et al. Trends in diet and nutritional status of rural and tribal population in India : A longitudinal national nutritionand its association with body mass index categories. Ann Nutr Metab 2013; 63 (spple 1):1-1960. Laxmaiah A, Arlappa N, II.Meshram, Balakrishna N K. Mallikarjun Rao et al. Socio-demographic patterns of hypertension, knowledge, behaviours and practices of adult tribal (Adivasi) population in India: A first National Monitoring survey. Ann Nutr Metab 2013; 63 (spple 1):1-1960. Arlappa N, N.Balakrishna, Sharad Kumar, G.N.V.Brahmam, K.Vijayaraghavan. “Nutritional status of the Aged in rural India". Nutrition News. National Institute of Nutrition Vol 25 (1,2) 2004. Arlappa N, Laxmaiah A, Balakrishna N , Brahmam GNV.Consumption pattern of pulses, vegetables and nutrients among rural population in India. Nutrition News. National Institute of Nutrition. July2011; VOL 32(3). Meshram II, Arlappa N, Balakrishna N, Mallikharjuna Rao K, Laxmaiah A, Brahmam GNV. Trends in prevalence of undernutrition, nutrient and food intake and predictors of undernutrion among under five year tribal children in India. Nutrition News. National Institute of Nutrition. July2012; VOL 33(3). Venkaiah K, Brahmam GNV, K.Vijayaraghavan, Arlappa N et al “Assessment of Diet and Nutrition situation in Drought affected areas in nine States-Part-I” Nutrition News. National Institute of Nutrition Vol. 27 (1) 2006. Venkaiah K, Brahmam GNV, K.Vijayaraghavan, Arlappa N,Ch. Gal Reddy et al “Assessment of Diet and Nutrition situation in Drought affected areas in nine States-Part-II” Nutrition News. National Institute of Nutrition Vol. 27 (2) 2006. Nimmathota Arlappa , Saurabh Sharma. Handbook of Vitamin A. ISBN-13:978-330-048324. Lambert Publications, Germany.2017. N.Arlappa and S.B.Kokku. Drought, food security and micronutrient malnutrition. R.R.Watson, J.A Tabor,J.E.Ehiri and V.R.Preedy (eds).Handbook of Public Health in natural disasters. Human Health Handbooks; Wgeningen Academic Publishers. 2015. N.Arlappa; SB.Kokku. Nutritional Status and its Trends among the Tribal Population in India. G Bhanuprakah Reddy, P Swathi Chitra, N Arlappa. Aging: Health and Nutrition. Mahtab M Bamji, Kamala Krishna swamy and GNV.Brahmam (edu). Text Book on Human Nutrition 2015. Nimmathota Arlappa. “Hidden Hunger: A persistent nutritional problem of public health concern among rural children in India”. Nitish Mondal, Kaushik Bose,Jaydip Sen (Eds). "Malnutrition: A Double Burden". BR Publishing Corporation, New Delhi-2018. Nimmathota Arlappa. “Understanding Stunting-An Indian Perspective”. Nitish Mondal, Kaushik Bose,Jaydip Sen (Eds). "Malnutrition: A Double Burden". BR Publishing Corporation, New Delhi-2018. Nimmathota Arlappa, Saurabh Sharma. Handbook of Vitamin A. ISBN-13:978-330-048324. Lambert Publications, Germany.2017. K.Mallikharjuna Rao, K.Venkiah, A.Laxmiah, N.Arlppa, M S Radhika, Ch Gal Reddy, GNV Brahmam. Levels of undernutrition among children of below five years of age in Koraput district of Odisha , India. Book chapter published in Childs development in India. Anmol Publications PVT.LTD. New Delhi, 2015. Best Scientific Paper” Award for the presentation entitled “ Correlation between self-reported and measured height, weight and nutritional status of students of Medical Profession” at “XIV Joint State Conference of IPHA & IAPSM-2011-held at Mamata Medical College,Khammam.Jan 8-9th 2011. Best Statistical Analysis Scientific Paper Award for the presentation entitled “Correlation between self-reported and measured height, weight and nutritional status of students of Medical Profession” at “XIV Joint State Conference of IPHA & IAPSM-2011-held at Mamata Medical College,Khammam.Jan 8-9th 2011. Scientific paper entitled “Endemic Kidney Disease among Population residing in Mica belt of Andhra Pradesh, India” selected for “Young Investigator Award”:16th World Congress on Clinical Nutrition.Sept 11-14, 2011.New Delhi. NIH-USA Scholarship Award-2010 to attend 3rd AIDS Society of India Conference (ASICON) held during 29-31 October, 2010 at Hyderabad. CSIR Travel Grant to attend “Obesity-2010” Conference at San Diego-USA. DST Travel Grant to attend “Obesity-2010” Conference at San Diego-USA.